If you ever think to go to live to Hannover (Germany), this post will help you to get use to the habits and places where you can train for a Triatlon. I am a triathlete, which came to Hannover for a short period of time (6 months), and who struggled to find a places to swim, a places to ride a bike, and a place to run. 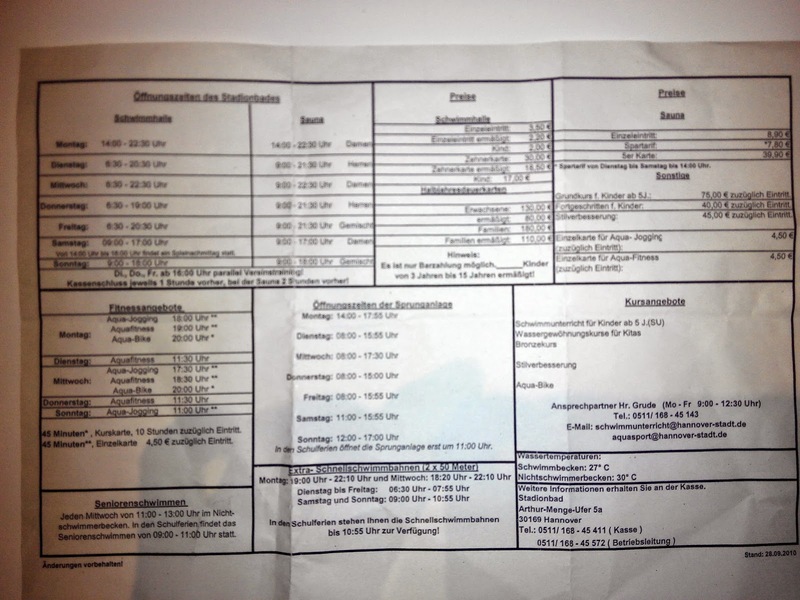 I hope this information will help you to make your starting to train in Hannover easier. The Germans are very organised in general, but in the swimming pools, I can tell you that they are out of this definition. 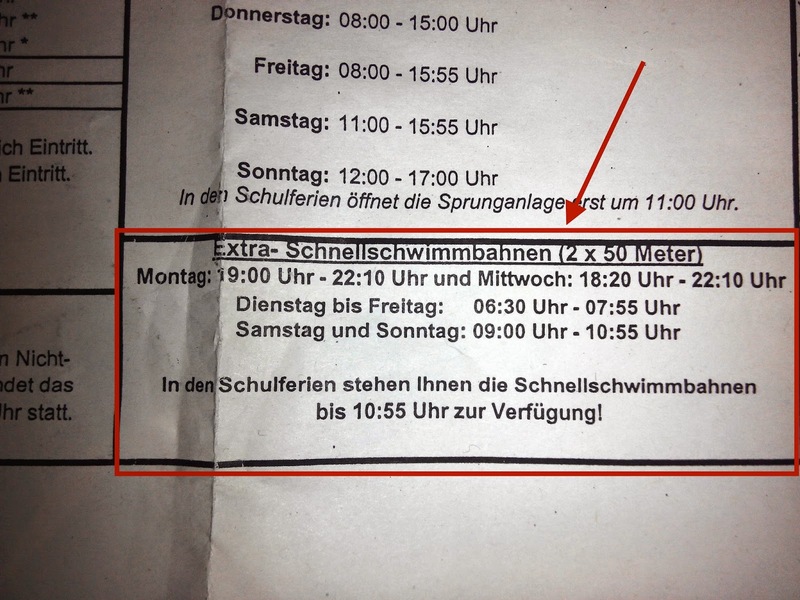 First time I was in the Stadionbad swimming pool (Robert-Enke-Straße 5 30169 Hannover), I was impressed that there were not lines to swim, I mean that was literally a free swimming (everyone was swimming without order). The first idea which came to my mind was: "How can I improve my technic in a swimming pool without lines???? How can I make series in a swimming pool without order?????" I was calling to every swimming pool for three days, and in every swimming pool I received the same answer, here we only have free swimmer..... "I was staggered!!!" 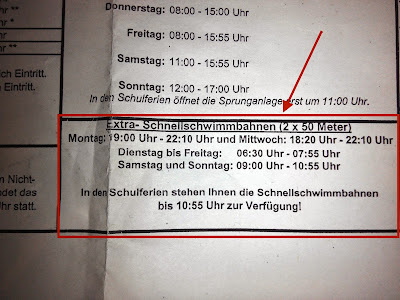 Any way I must to swim, and after my first try in the swimming pool like a "ordinary German", I met a guy which told me that there were "schnell Swimming wagen" some days peer week. This fast swimming lines are Monday from 19:00 till 22:10 and Wednesday from 18:20 till 22:10. 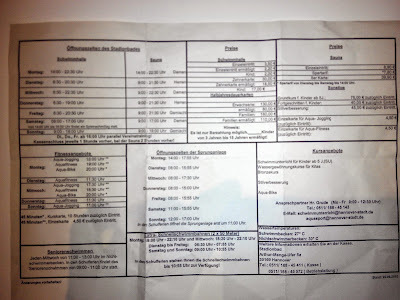 You can see the paper with the exact information below. Anyway, it could be a good idea to go there and ask for the updated information for the fast swimming lines. Here in Hannover there are not mountains not hills. So you will not improve your skills coming here. 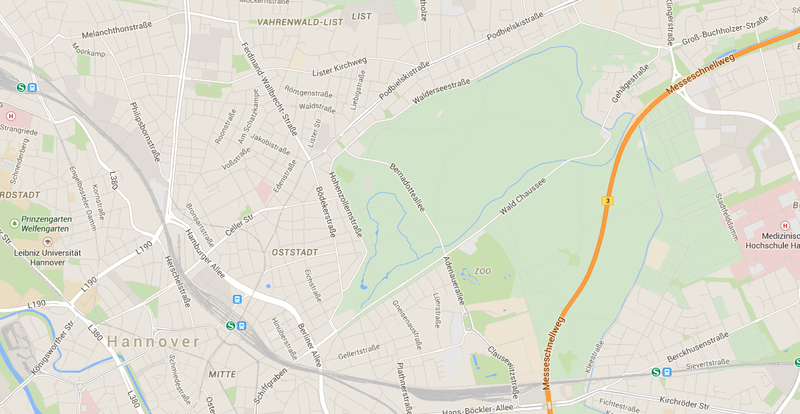 But there are a lot of Radwegs (bike paths) all around Hannover. If the weather allows to you go out, you can enjoy a lot with some long rides. The best way to learn the Radwegs around Hannover, it will be to buy a map in any of the shops, and plan a ride before to get out. As well, if you are the proud owner of a GPS for the bike you can download a track from any of the dedicated pages, and follow it. 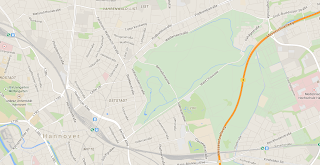 It is very safe to ride around Hannover, and for sure you will have a pleasant time with your bike here. Note: I was in Hannover for winter time, what it means that I was "forced" to buy a beautiful home-trainer and to ride at home. Ok, for running will be easy. You will only need your shoes and a good clothes (on winter), to be training outside. But the good thing to be in Hannover, it is a big park at the north/east of the city, that it's almost a forest, and in which is very pleasant to run. But if you training will be at evening and in winter, be sure to wear with you a front light, because there are not much lights in the park. There is the possibility to run around the lake Maschsee, which is close to Stadionbad swimming pool (Robert-Enke-Straße 5 30169 Hannover). I know that this is not much information about the city, but it is a starting point to have a overview of the possibilities that the city offers us to make our sport. Have fun, and see you soon around!! !